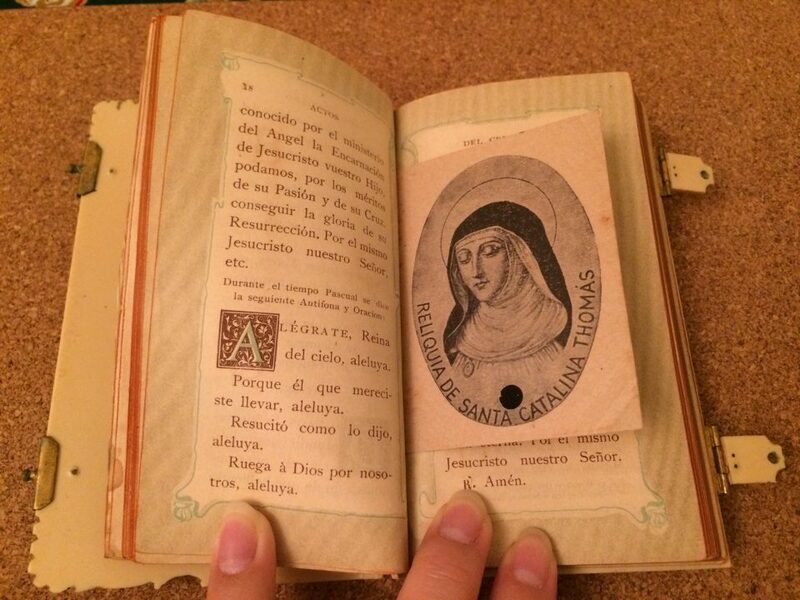 This is an antique devotional book that I bought at Encants Barcelona flea market. 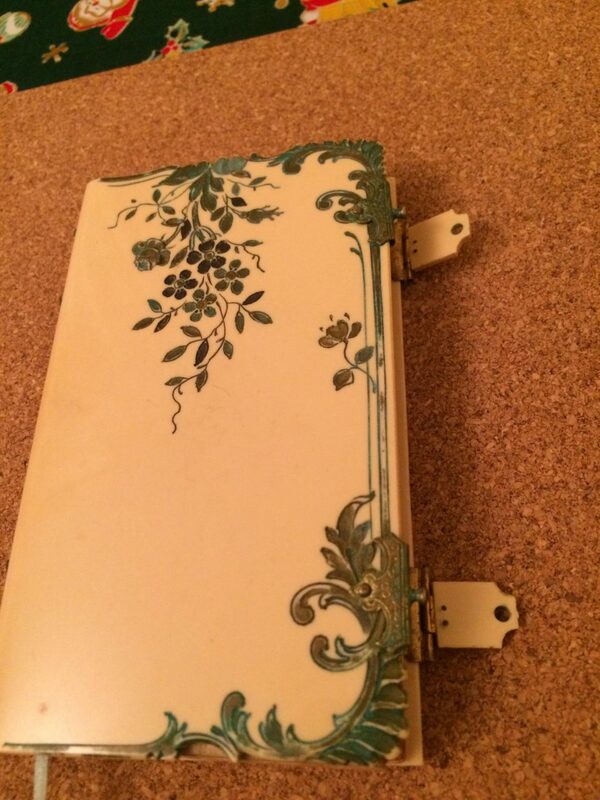 What I love the most is the cover, which the seller says that it is ivory. 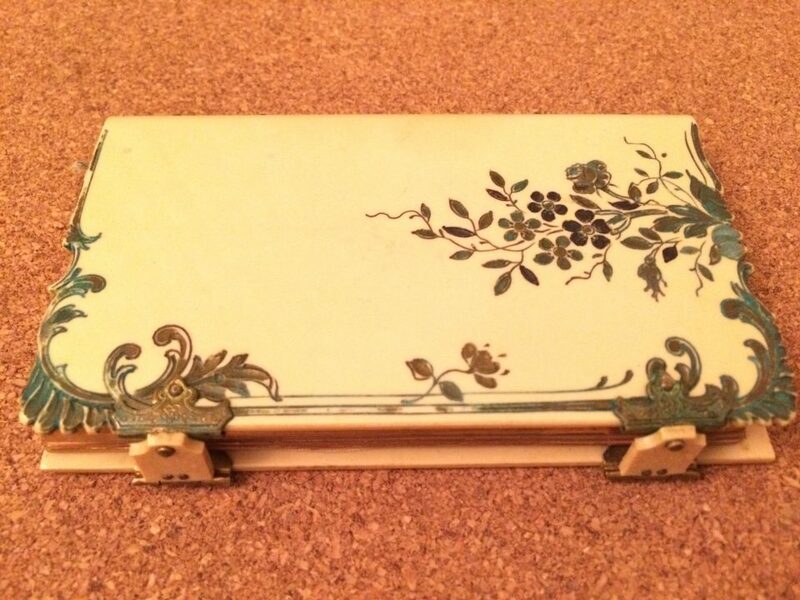 If it is ivory, it is very pretty as it is painted in blue. 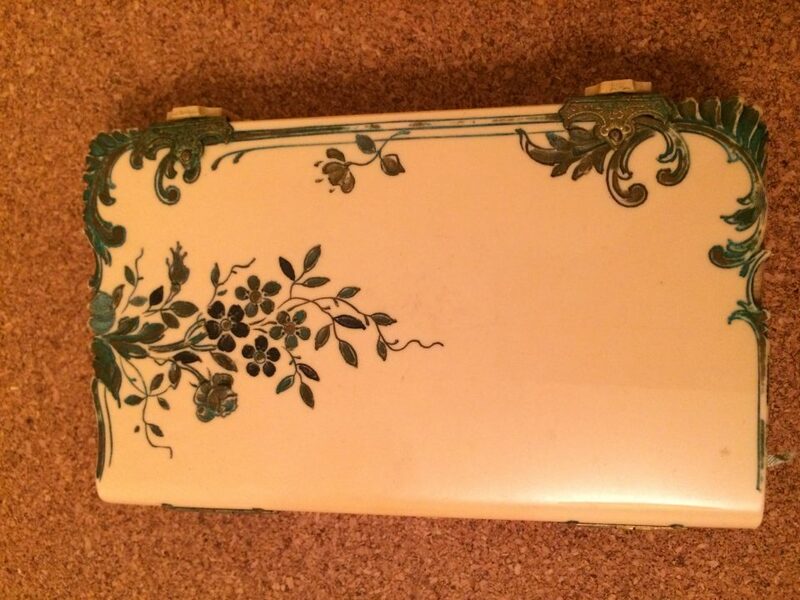 Lovely flowery hand carved and hand painted cover. 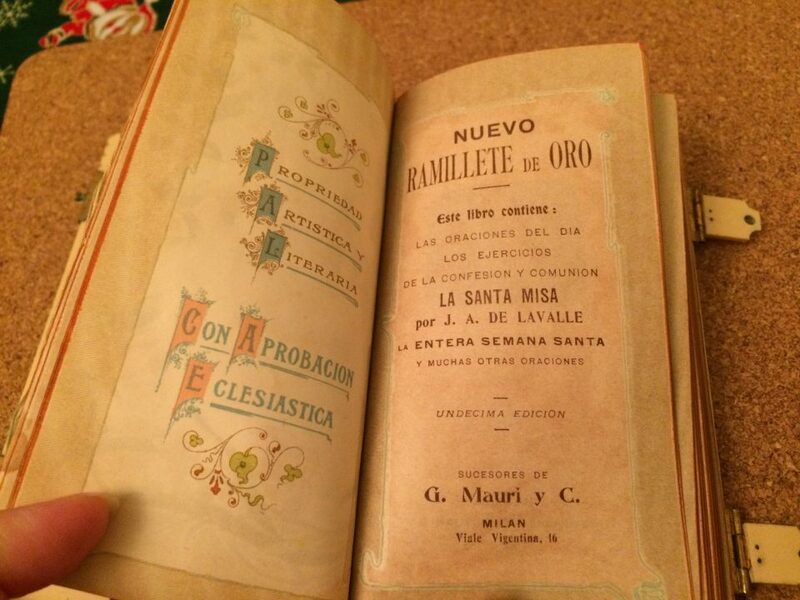 The title of the book is “Nuevo Ramilette De Oro”. 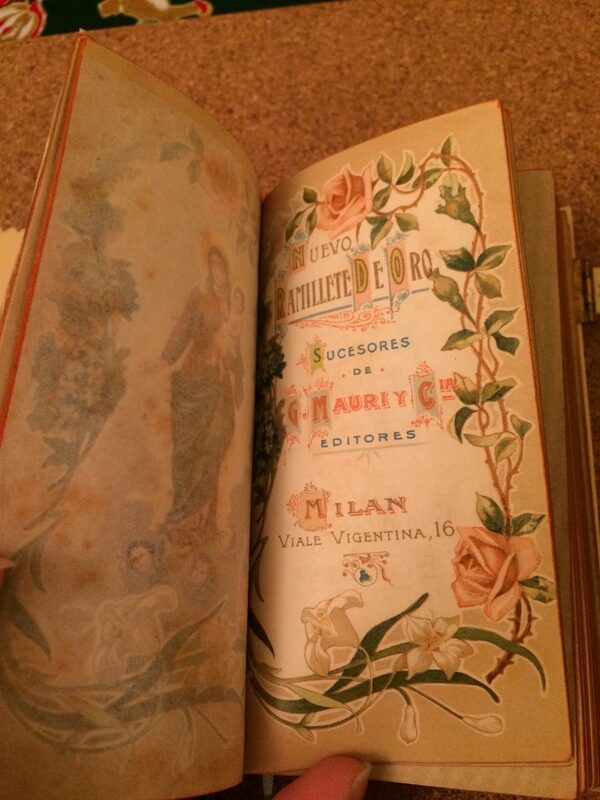 It says that it is undecima edicion (11th edition) but I cannot find the year when it was published. I would have guess it will be between 1920 to 1940. Or could it be earlier than 1920 ? Please do comment below if you know the excact year. It has the place of publication: Milan, Viale Vigentina 16. With the publisher / editor: G. Mauri y C.
I love some of the colourful pages of this book. 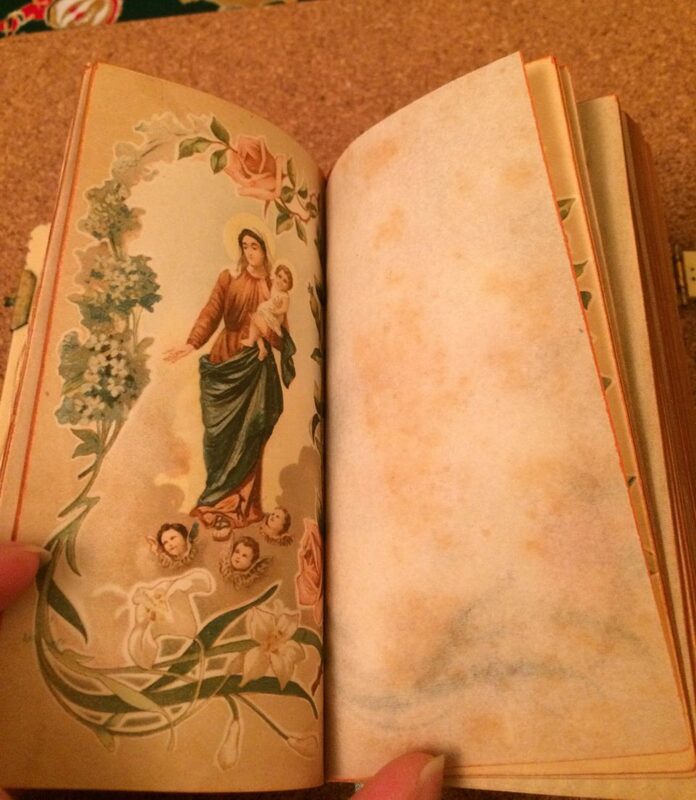 The one below, for example, has a colourful picture of Mother Mary, with baby Jesus, angels and flowers. I also found some bookmarks. One of them dated year 1942. 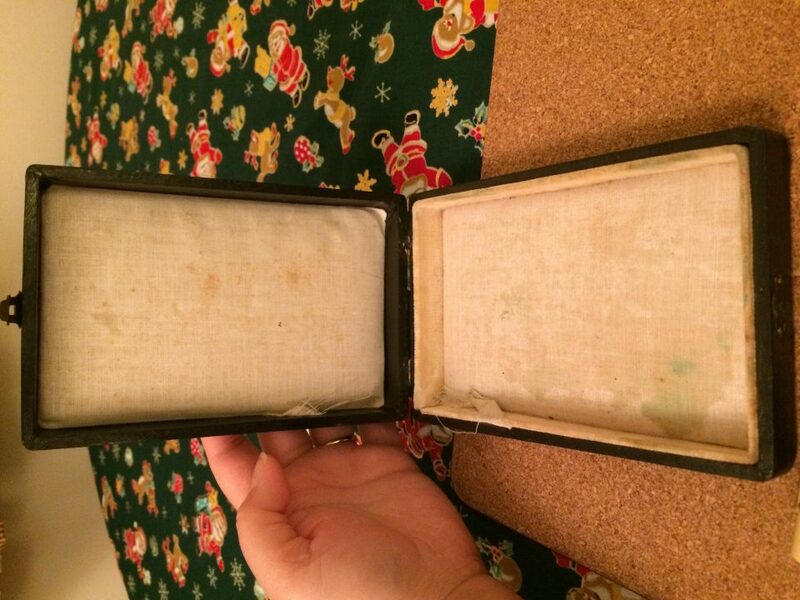 I love the original box too! 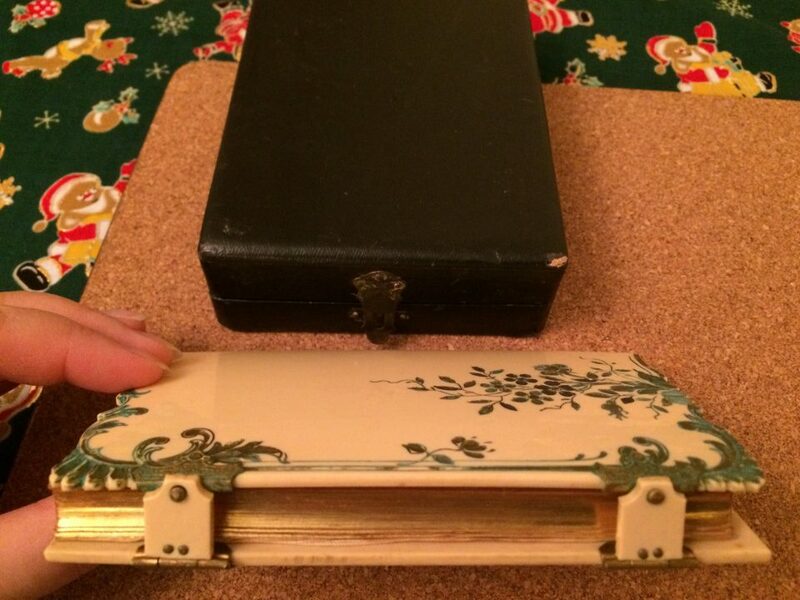 The box has hinge with writing “Milan” on it, consistent with the place where the book is published. 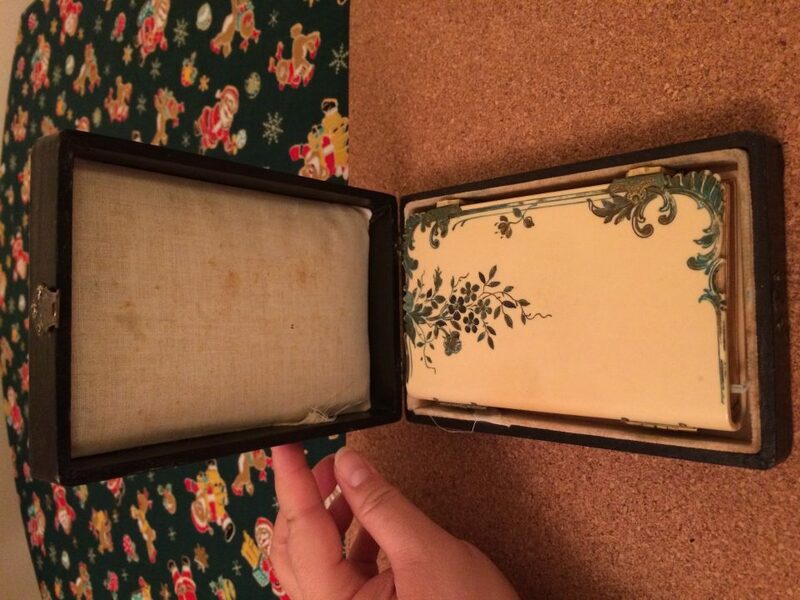 And this shows the book fits perfectly in the box. This is the back of the book. 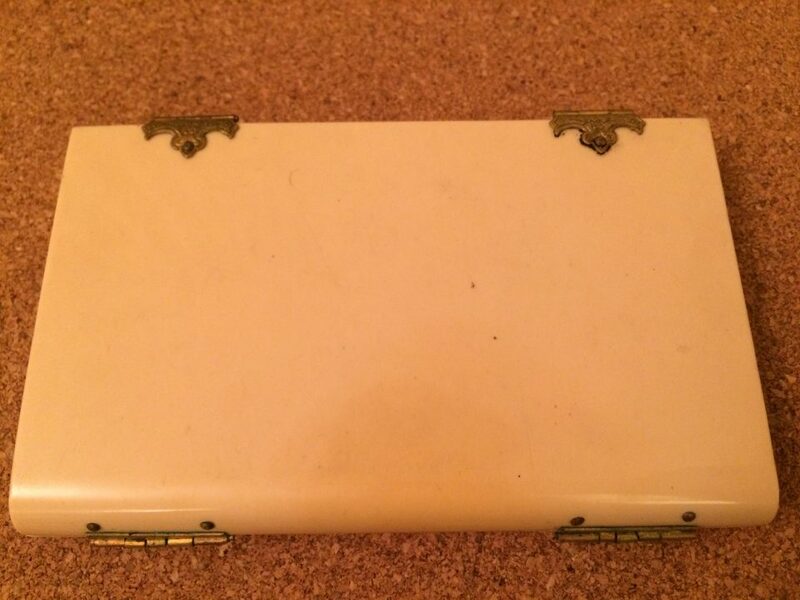 Do you think it is ivory? Another thing that I like is that the size of it is quite substantial. 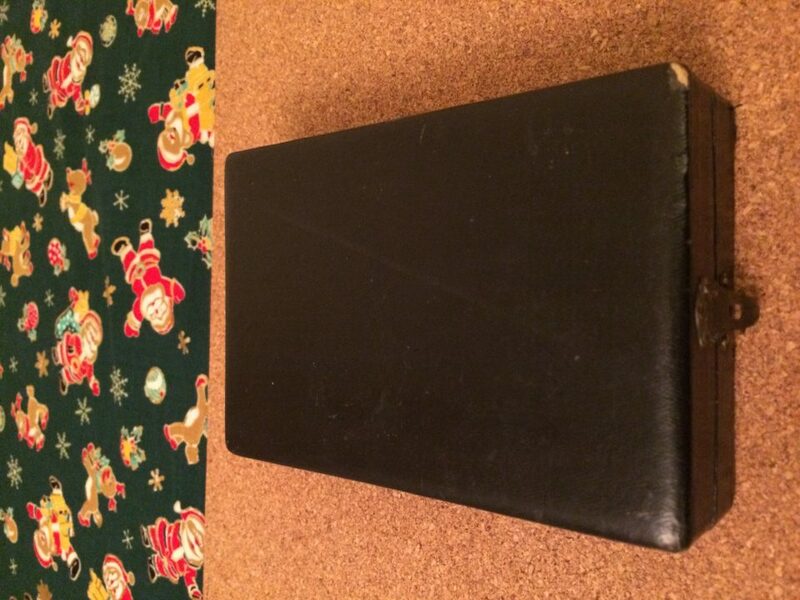 It is not a small devotional book. 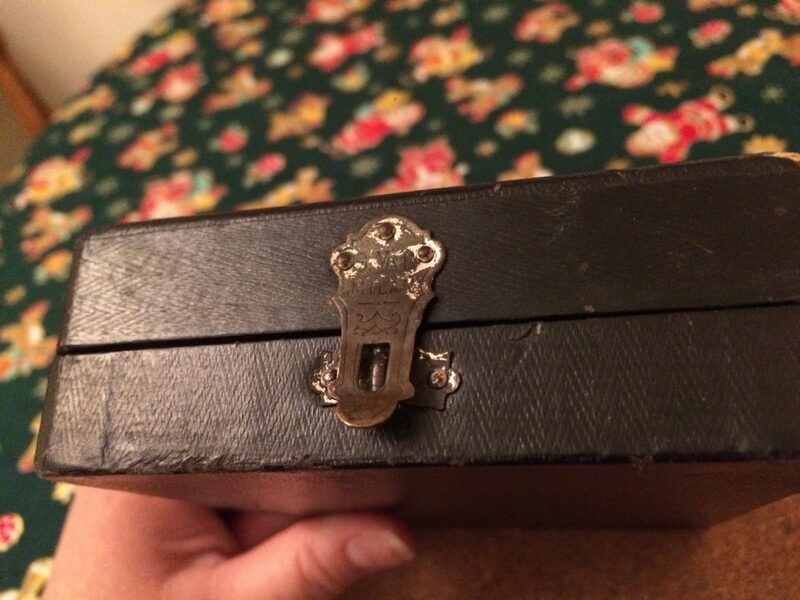 Look at the two hinges! 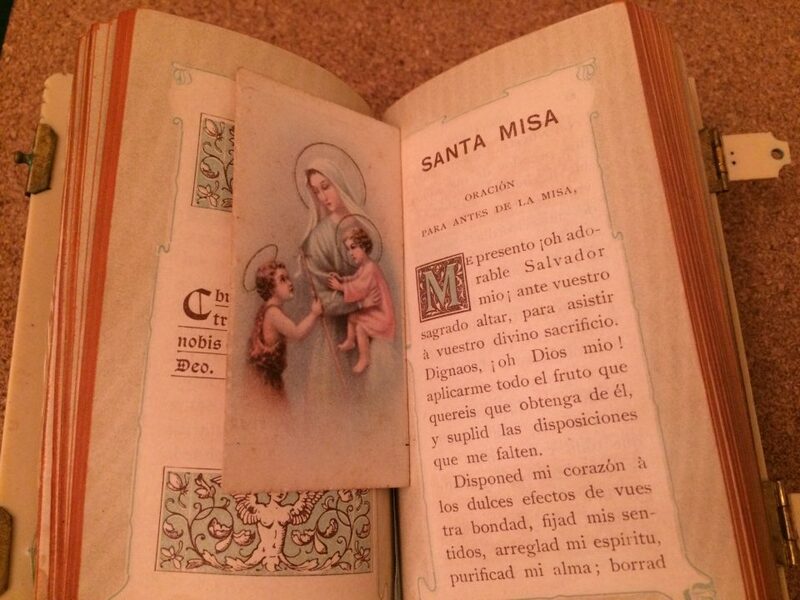 Oh I also have another antique devotional book. Please see my other page too!